Transformation doesn’t require an alternative “social economy,” because the economy we have is already social. We just need to recognize and act on that fact. I read this article and found it very interesting, thought it might be something for you. The article is called What Is Radical Economics? 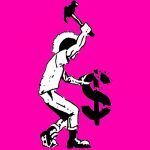 (Hint: It’s Not Neoliberal or Marxist) and is located at https://evonomics.com/radical-economics-hint-not-neoliberal-marxist/. It’s true that we live in an age when the pursuit of economic self-interest is glorified. Consumerism promotes the most unsatisfactory of goals; poverty and ecological destruction are creating unconscionable suffering; and large concentrations of corporate power overshadow traditional modes of governing for the public good. Radical change is clearly and urgently necessary. But what does that mean? “Radical” comes from the Latin word for “root,” so radical change should be change that goes to the very heart of the problem. The positive, institution-building side of the new economy approach is helpful and can be inspiring. But the negative, “dismantle the capitalist machine” view expressed in a number of new economy writings is, I believe, both misleading and harmful to the overall prospects of the movement. The image of the “old economy” they point to is a relic of outdated economic ideologies. Academic economics has long bamboozled intellectuals and activists – from across the political spectrum – into adopting narrow ways of thinking about business and commerce. Mainstream economic theory claims that in economic life, people are driven by self-interest. Firms have no choice but to maximize profits. Individuals maximize satisfaction from consumption. Markets are invariably distant and impersonal. And people act as rational, individual agents when exchanging goods, labor power, and money. Building on this image of the machine-like economy, neoliberal thinkers treat the ideal of the competitive market as the summum bonum (or supreme good). Taking inspiration from a few selective passages from Adam Smith, they argue that the “invisible hand” of the free market causes individual selfishness to serve the social good. Since social welfare programs or government regulations would hamper this mechanism, it is said that they must be avoided. The best alternative to such theories is sometimes taken to be “radical economics,” as envisioned by Karl Marx and his followers. Marxist economists envision a revolutionary displacement of the capitalist system by an alternative economy of solidarity. Yet Marx also drew his inspiration from Adam Smith. Marxist economists portray capitalist economies as populated by firms that are driven to extract the last possible dollar of profit. People are duped by the marketers of consumer products, and workers are alienated from their humanity by their role in the economic machine. The foundations of community are seen as corrupted by inhuman exchange relations and by the invidious, society-destroying power of money. So now the capitalist economy is the summum malum (or supreme evil) instead. Note, however, that both neoliberals and these Marxist critics believe that market economies are essentially machines – entities that are fundamentally separated from society and human emotions, and from ethics and interdependence. To the extent that they adopt the “dismantle the capitalist machine” version of radical thinking, new economy writers create “us versus them” divisions. The new economy camp is portrayed as populated by warm-hearted and mindful people who are trying to create a socially and ecologically sustainable society. The old economy camp is portrayed as populated by heartless villains who sit at the controls of the juggernaut of global capitalism, directing an economy populated by duped and mindless workers and consumers. Any talk of corporate ethics or business sustainability initiatives is likely to be immediately rejected as mere green-washing or ineffective reformism. Not until the system is dismantled, it is said, can real change be expected. 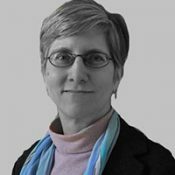 One of my Zen teachers likes to interpret the traditional “three poisons” of Buddhism (“greed, anger, and ignorance”) as “greed, anger, and certainty.” New economy writers like Korten and Alperowitz seem certain about the mechanisms that drive the old economy, but perhaps those beliefs deserve fresh examination? Take, for example, the belief that firms must maximize profit. One might think that economists discovered this belief by studying businesses, but in fact they invented it. It’s a convenient assumption because it turns the analysis of firms’ behavior into a simple calculus problem, and that satisfies economists’ desire for physics-like regularities. But profit maximization isn’t actually legally mandated. Nor is it an inevitable result of competition. If anything, life here is imitating fiction, since business leaders and investors increasingly appear to believe that maximizing profits (for which read greed) is not only permissible but required. That’s the problem with the mechanistic image of the old economy: it denies the moral agency of people working inside it, and demands that its structures be dismantled in favor of a new, more social and human alternative. But the economy is already social and human. People may not like the current results, but human beings with complex motivations are already acting interdependently with one another. For example, markets and corporations don’t run coolly and objectively. Instead, they are rife with human emotions such as care, desire and revenge. They rely on the creation of beliefs about the future, run on human ties of trust, and are built on social norms and legal institutions. If we put aside the distorting lenses provided by dominant economic theories, it’s obvious that businesses can pursue a variety of goals alongside returning a profit to their shareholders. These goals can be socially helpful (like innovative, high-quality products, jobs, environmental protection and non-discrimination), or socially harmful (such as making extra profits at the expense of labor and the environment, or promoting excessive executive compensation). Do love, care, mindfulness and spirituality have a role in the economy? When economic life is imagined to be directed by the “laws of the market,” it is set apart from the influence of these values and practices. The old mechanistic thinking essentially gives current corporations an ethical free pass by providing them with the excuse that “the system made me do it.” This cleft disappears, however, when the real, human nature of the economy is recognized, allowing us to align ourselves with positive change wherever it is happening. We don’t need to wait around for companies to reincorporate as B Corporations in order to make them work in the public interest – their current charters will do just fine. But we can and must expect much better of them, and let them know it. Citizen boycotts, shareholder resolutions, and other public campaigns are time-honored ways of calling powers to account. When we undertake such strategies for change, we may find that there are many people inside these companies who also want to work for a better world. This is deep change. Economies have been imagined in macho terms of machines, control, and the aggressive pursuit of growth for so long that it can be difficult to think otherwise. Emotions, care, and interdependence have been imagined as only belonging to a more feminine sphere, so pointing out their relevance for commerce risks provoking accusations of naiveté. But dropping the image of capitalism and for-profit corporations as inhuman in their essence does not mean taking a Pollyanna-ish position toward either of these things. Instead, a more unified view of economics and society recognizes that commercial life is an arena of human interaction much like any other. Interactions within markets or corporations may manifest love or hate, and create abuse or care – much like interactions within other organizations. In fact, visions of small-scale, “love-driven” new economy institutions remind me uncomfortably of similar idealizations of families or religious organizations. While these are often assumed to be benevolent simply by virtue of being caring-oriented or spiritually-oriented, the realities of domestic violence, sexual abuse and financial mismanagement should remind us that this is not always the case. At its root the economy is a living, complex organism. Rather than envisioning economic transformation as akin to overturning an unresponsive juggernaut, it may be more productive to see it in terms of tending to a fragile body. Avoiding drawing “us” versus “them” battle lines, and acting on the transformational potential that exists within the economy as it is right now, opens up new arenas for constructive action. Now that would be radical.